Atlassian presents Confluence 6.15.0-rc1. This is a snapshot of our work in progress, primarily focused on providing app developers an opportunity to test their apps and make any required changes in advance of an official release. We've discovered some issues and decided to roll back the change that would copy page restrictions by default when you copy a single page. 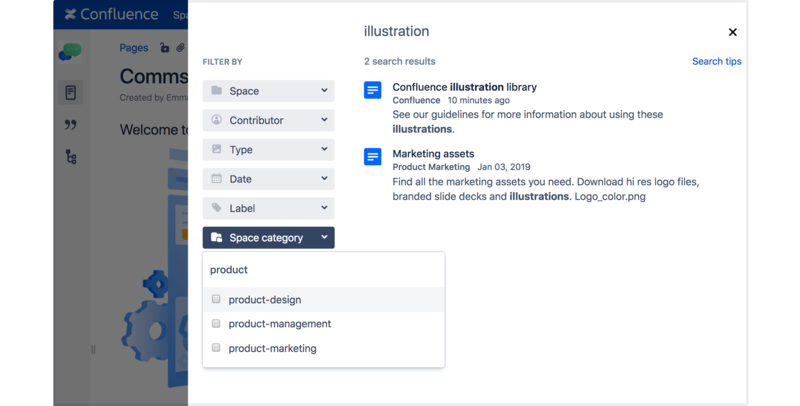 Previously, when you imported a space from Confluence Cloud, we used a person's username to reunite them with their pages, comments, and any other content. Soon, Confluence Cloud will replace usernames with email addresses, which means we will only be able to match user accounts based on this email address. When importing a space, you can now choose to skip attributing content to matching user accounts, and instead attribute all content to 'unknown user'. the user account doesn't have an email address. If your user directories are tightly managed, you can confidently choose to attribute content to existing users based on their email address when importing a space from Cloud. But, if you allow people to change their email address in Confluence, you may prefer to skip this and attribute all content to 'unknown user', and then have an administrator manually update any permissions or restrictions. We've also added some information to the Backup and Restore screen to help admins prevent common problems, such as accidentally kicking off a full site reindex during a peak time, or locking themselves out after a site import. The way export and import works hasn't changed, we've just updated the screen to make it easier to understand. Note about translations: the changes to this screen haven't been translated yet, so if you'd like to check it out, go Profile > Settings and change the language to to English UK to make sure you see all the changes. When you copy a restricted page, we'll now copy its restrictions as well. This change is to prevent people inadvertently making private content visible to everyone. Don't want your new page to be restricted? No problem, click the padlock icon in the editor and remove the restrictions before you publish the page. No changes planned for this release. Head to Preparing for Confluence 6.15 to find out about changes that will impact app developers.